We have the house painters in India to deliver the premium quality services to our clients. The wall painters have a lot of experience in the painting of house and office so they provide the quality services. Painting Work of wall, ceiling, doors, grill and polishing etc. In order to cater to the numerous necessities of the patrons, we have been able to provide Floral Wall Printing Service. Ultrabond is a highly acrylic water based penetrating primer or undercoat that has excellent flexibility and impact resistant properties on all surfaces it's applied to. Ultra-bond is suitable for application over old and new concrete, slates, bricks, plaster, asbestos, roof tiles, hard boards, chip boards; aluminium, galvanized steel, painted areas, etc. We deliver total painting solution at economical rates i.e. Texture painting , design print painting, total house interior as well as exterior painting. Contact 9987330455 for free quotaions. Backed by our talented professionals, we are providing a high-quality array of Wall Painting Work in the market. Skilled professionals check these services on various provisions of quality in order to render within committed time period. To add, these services are rendered after specifically comprehending the necessities and budgetary constraints of our valued customers. Span and Structures undertakes whitewash painting work in Bangalore. We make use of different whitewashing techniques for different properties like Residential, Commercial and Industrial. 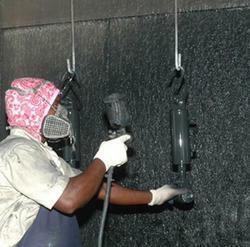 Our painters use sophisticated tools for whitewashing and adding a new look to your home, offece, warehouses/godowns etc. 'Real Estate Image Editing Service' offers the world best interior wall designing service to make the simple looking wall images of the property sellers into most advanced looking quality. We are having the creative, unique, experienced graphical editors to handle this wall design creation photo editing techniques. We are known for faster turnaround for rapid execution of construction / renovation / painting projects. Our company aims at achieving apex ethics in constructions through its highly professional attitude, procurement of branded raw material and superior technology. This indeed imitates in our essential activities and objectives.